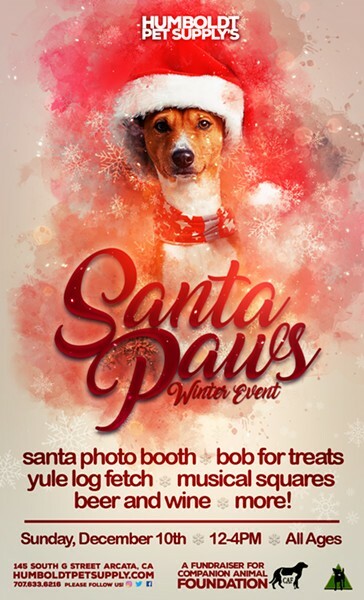 Help raise raise funds for at this fun event featuring a pet Santa photo booth. Have your pet sit on Santa's lap or just get a great family photo to share. We're requesting a minimum $5 donation on behalf of Companion Animal Foundation. YULE LOG FETCH - A winter-themed game for pets! BOBBING FOR TREATS - What treat will your pet get? MUSICAL SQUARES - Win prizes on the dance floor! WINE AND BEER - Have a merry time at our bar!